I’ve been having rather a lot of barbecues lately and unless you’ve been living in a hole, you probably have too. Even in between the summer showers there have been plenty of opportunities to light up the coals. 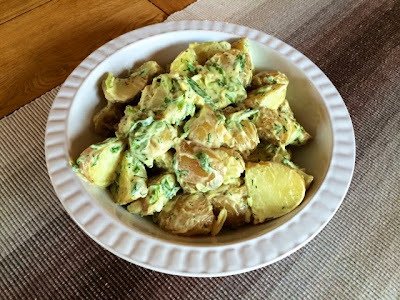 The classic British barbecue always comes with a classic selection of sides and there’s often a potato salad knocking about among them. 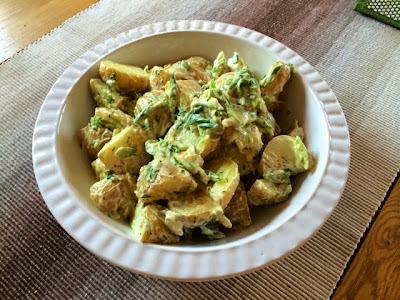 Potato salad is being bought in those little plastic tubs by the bucket load in supermarkets across the country as people stock up for their weekend barbecues, but it’s so simple to make your own. It’s also much tastier and much healthier. 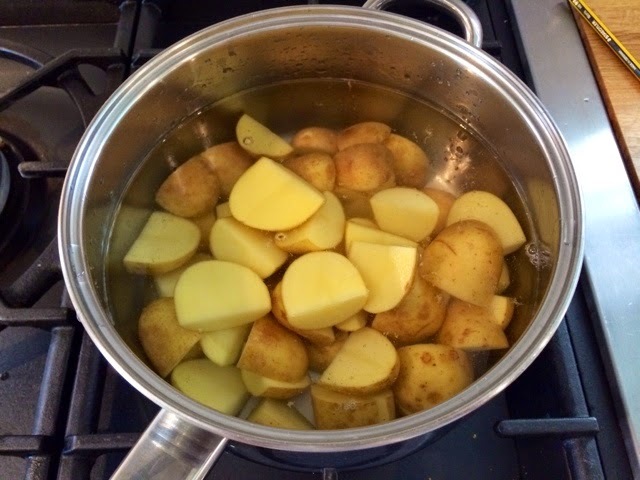 Making your own also means you get a decent amount of potato instead of a few lonely chunks floating around in a swimming pool of mayo. 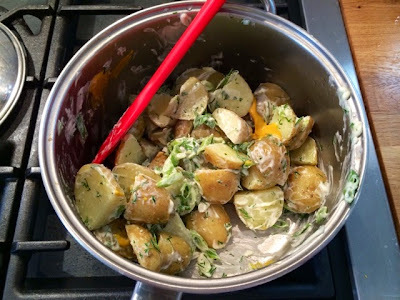 This is a great classic tasty recipe but feel free to add your own little tweaks and adaptations to turn it into one of your own family favourites. 1. Boil the potatoes until they are cooked. 2. Drain and leave to cool. 3. 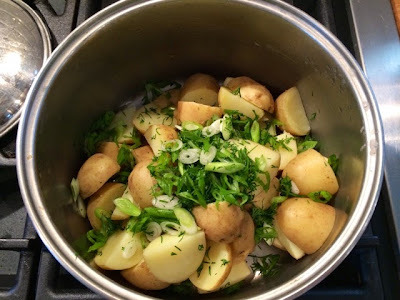 Throw in the spring onions and dill, mixing through thoroughly. 4. 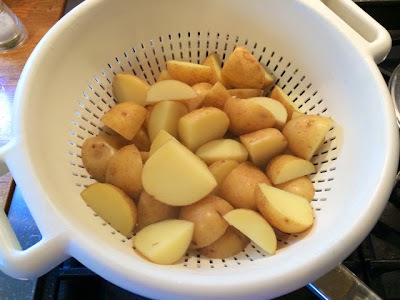 Add enough mayo to lightly coat all of the potatoes. Use my measurements as a guide but use your own judgement, what you don’t want is a salad swimming in a giant pool of mayonnaise. Add the mustard and make sure everything is well combined. Season with a little salt and pepper. 5. Serve up alongside a barbecue or for lunch a couple of other salads.